An Inverter circuit converts DC to high volt AC for driving high power devices. 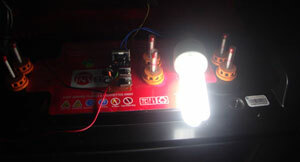 The principle of simple emergency lamp circuit and the heavy load inverter circuit is the same. The DC voltage is converted into AC using an oscillator circuit. A driver transformer then step up this low voltage AC to 230 volt AC. The output waveform from the oscillator depends on the type of circuit. In simple inverter, it is square wave but in microprocessor based types, it may be quasi sine wave or pure sine wave. 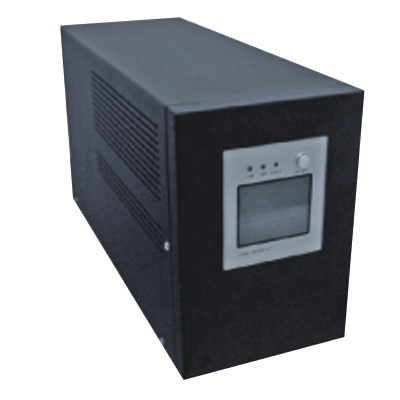 Pure sine wave AC is similar to the AC available in the mains power supply so all the instruments usually running in Mains power can be connected in Pure sine wave inverter. The appliances connected to Square wave and quasi sine wave may not work well as seen in the humming of fan, flickering of tubes etc. This circuit is meant for explaining the method of an inverter.